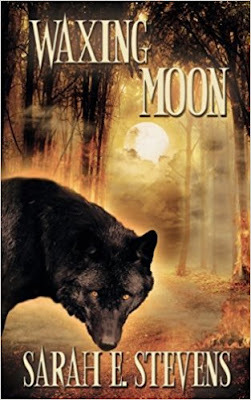 But when her house is burned down by a supernatural force she never knew about which may be in direct opposition to the powerful werewolf Carson is becoming. Can she assert her independence as a mere human in this world of dangerous supernatural beings fighting over her child? In my review of the last book, I questioned how this series would continue after the events of the first book. I did suspect there would be some really convoluted way that Julie would end up being bitten and become a werewolf and then have many exciting adventures. Oh how very different this turned out to be. Again, it’s done really subtly, with the battle they’re fighting serving as a perfect background for people to make harsh decisions in the name of “safety”. It’s balanced to be very realistic - perhaps even something we could easily understand and go along with if it weren’t for Julie’s excellent insight. And enter the Salamanders - showing yet another supernatural group with their own powers and traditions and beliefs, and most definitely their own flaws while at the same time obviously being as complex as the werewolves, with their own factions, their own flaws and their own infighting. All alongside a battle between factions, some nice sideplots with the wolf-living werewolf and the weird subplot he brings (if there’s one element of this book I’m not a special fan of it’s this rather bizarre, out-of-nowhere romance while they’re so very busy with other things) and Julie struggling with her own need to be involved in the defence of herself and her baby while similarly feeling so helpless, out of place and useless compared to the super powered beings alongside her which adds another element to her struggle for independence. Throw in lots of awesome action, some really fascinating characters and relationships and there’s a lot of good here. We also learn that Eliza is a lesbian which is clearly indicated and also has a really nice moment where Julie realises her not knowing this about Eliza doesn’t mean that Eliza is deceptive or secretive - but that she herself isn’t a great friend, that she’s very self-focused and self-absorbed and not really being supportive of her.